Faubourg is a French bakery and cafe that originated in Kerrisdale, but recently expanded with a location on Hornby downtown. The downtown location is very pretty. They have a nice patio outside and the inside is bright and inviting with lots of tables. 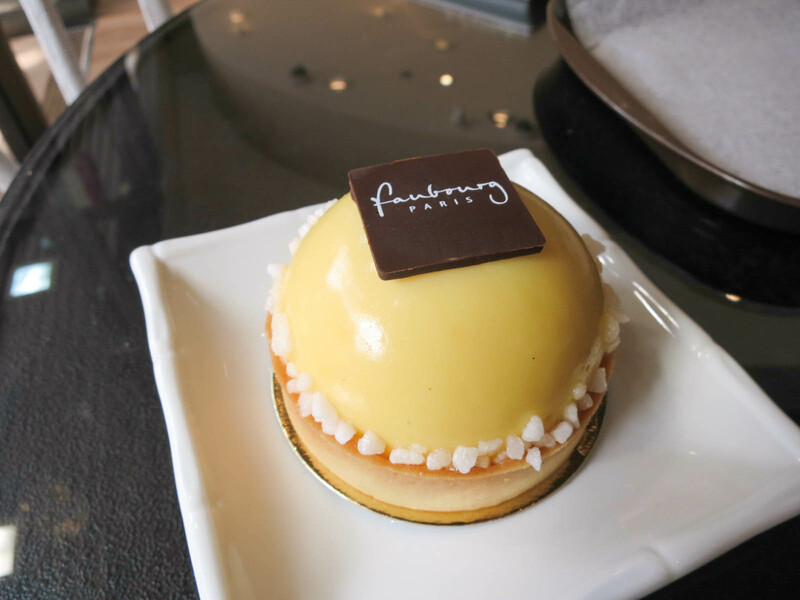 French pastries are one of my favourite things in life, so as soon as Faubourg opened downtown I had to try them. This post is a compilation of many visits that I have made over the past couple of months. 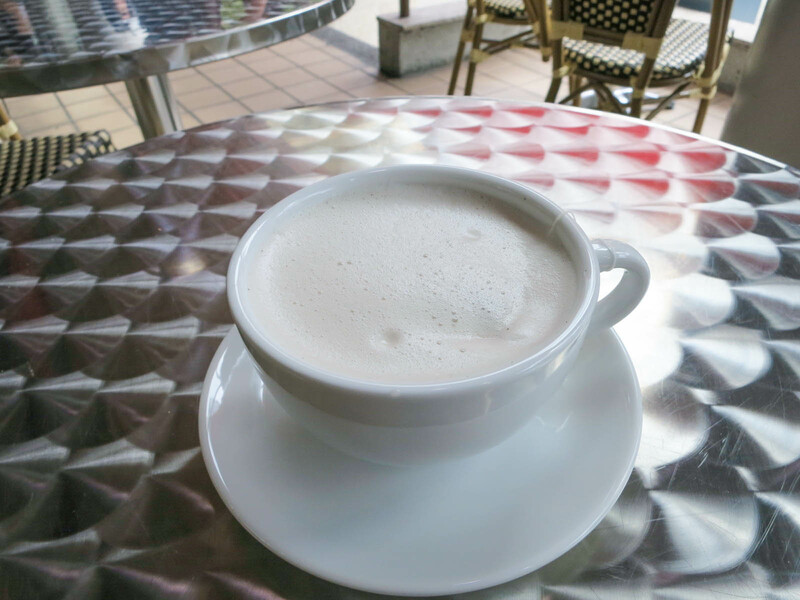 My favourite drink from Faubourg is the marco polo tea latte. The marco polo tea is from the Mariage Frères brand. It is a black tea, but it is very smooth and fruity with some sweetness to it. Combining it with milk in a latte almost makes it a dessert all in itself. I have also had the tea on its own without milk and it is still lovely. 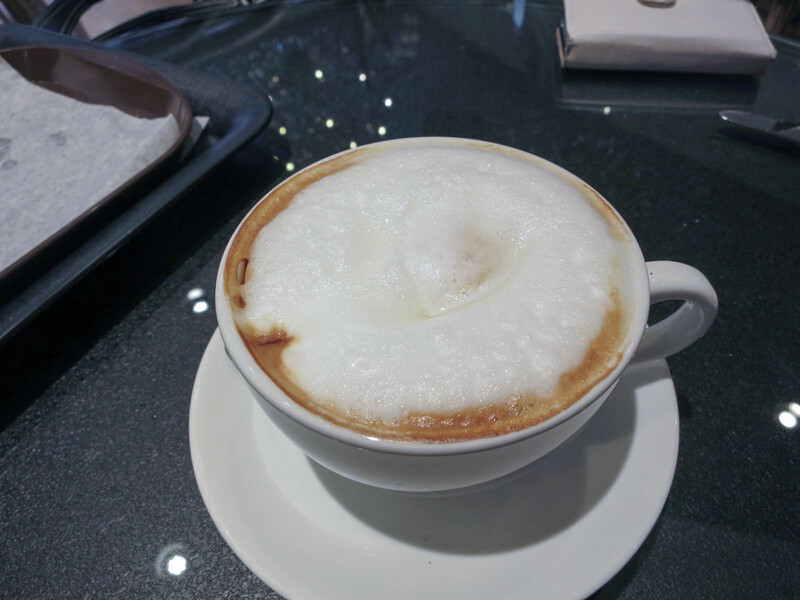 A couple of times I broke away from the tea and tried a cappuccino. The cappuccino here was good, but nothing extraordinary. They make it very foamy and I prefer a more wet style cappuccino. The tea here is still my drink of choice. They have a whole case of macarons with tons of different flavours. I sampled their signature macaron (passionfruit cookie with white chocolate), a blackberry rosemary macaron, and a lavender earl grey one. I liked that they were sweet and fruity, but they had other spice elements to them. The texture wasn’t perfect though, and I have had better macarons elsewhere. The lemon tart here is their best-selling item. The pastry is made with lemon curd on top of a milky foamy meringue surrounded in a tart shell. I loved every bite of this dessert. The lemon curd had a nice balance of sweet and tangy flavours and it was so smooth and creamy. The meringue inside added a light, fluffy texture that contrasted nicely with the thick custard. The tart shell was buttery and almost like a crunchy cookie. On another occasion I had an eclair. 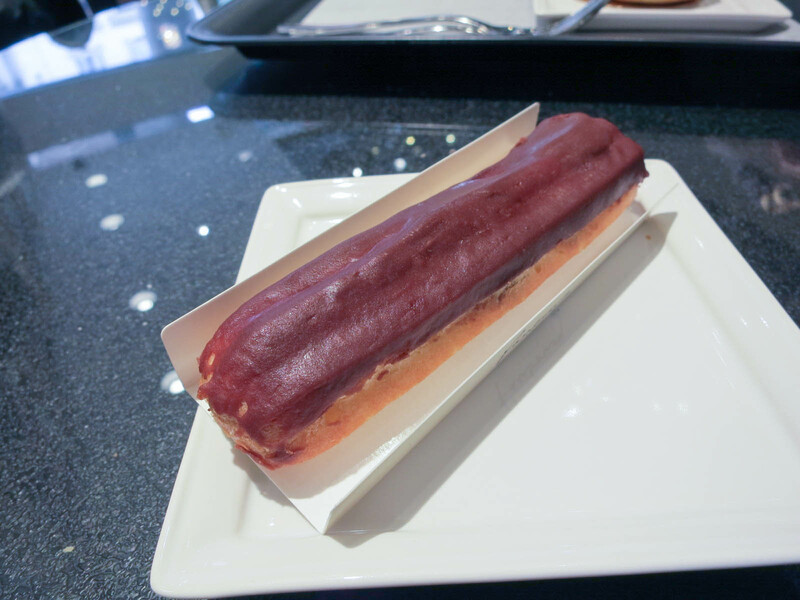 I have never really had a good eclair before so I wanted to try one. The pastry it is made with was soft and slightly chewy. Inside of the pastry was a custard filling. The custard was very rich and creamy and the chocolate on top added some sweetness. This dessert was simple and not probably something I would make a trip back for, but it wasn’t bad. Overall Faubourg is a beautiful looking cafe with okay pastries. They aren’t bad, but they aren’t quite special enough for me to rave about and I have definitely had better desserts elsewhere. It is in a convenient location downtown though, and it is a decent place to stop for a cup of tea. Yes, for good tea, but the pastries aren’t amazing.